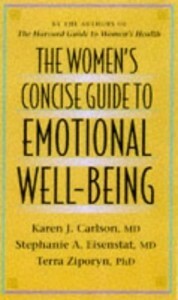 THE WOMEN’S CONCISE GUIDE TO EMOTIONAL WELL-BEING. Co-authored with Karen Carlson, M.D. and Stephanie Eisenstat, M.D. Cambridge: Harvard University Press, 1997.
dt, and Ziporyn. 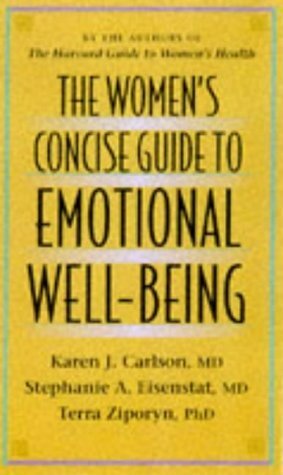 The Women’s Concise Guide to Emotional Well-Being. Harvard University Press.